Constant Contact and Endurance International Group Holdings have followed similar paths. Both got their start in the 1990s, offering Web services to small businesses. Both survived the dot-com crash, built up their companies, and went public. And now, their paths have collided in a $1.1 billion deal that combines two of Massachusetts’ major software companies that mainly serve small businesses. Burlington-based Endurance (NASDAQ: EIGI) is paying cash to acquire Waltham-based Constant Contact (NASDAQ: CTCT). The boards of both companies have approved the deal; it still needs the green light from Constant Contact shareholders, but is expected to close early next year. For Constant Contact CEO Gail Goodman, it’s the bittersweet end of a 16-year journey. She joined the company as employee number seven. She plans to stay on through the post-acquisition transition, but will then leave the company. The 55-year-old has “no clue” what she’ll do next. Constant Contact was founded in the mid-1990s as Roving Software. It became a leader in e-mail marketing and online surveys for small businesses. It raised $36 million from investors before a $107 million IPO in 2007, Goodman says. In its early days, Constant Contact was in the vanguard, she says, of the now-ubiquitous “freemium” software-as-a-service business model that involves driving visitors to a website, getting them to sign up for a free service, convincing them to start paying for additional products, and retaining those customers. “To create a business of scale at small dollar amounts, it takes a while,” Goodman says. “I call it the long, slow SaaS ramp of death because you get to 100 customers and, wow, at $20 a month, that means you’ve got $2,000. That doesn’t pay very many folks. So, you need to get to thousands” of customers. Joining forces with Endurance means Constant Contact can now reach millions of customers—the combined companies have more than 5 million around the world. Endurance was founded in 1997 as BizLand.com, focused on helping small businesses establish a Web presence. The company almost perished in the dot-com crash, but CEO Hari Ravichandran was able to navigate rough waters and turn Endurance into a multi-faceted tech company, built mostly via acquisitions. Today, Endurance provides services like hosting, cloud-based storage, e-commerce help, design tools, and more. Endurance raised $252 million in a 2013 IPO, and it employs 2,700 people in the U.S., U.K., India, Israel, and Brazil. Constant Contact and Endurance have been familiar with each other “since the Roving-BizLand days,” Goodman says. In the past year, the pair struck a cross-selling partnership in which Constant Contact products have been marketed to customers of three Endurance subsidiaries—Bluehost, HostGator, and iPage. “Five percent of our new customer growth is coming from them. They would say we’ve just scratched the surface” of that partnership, Goodman says. 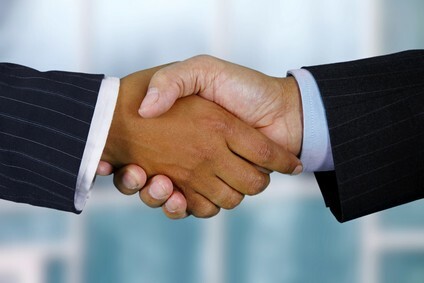 The acquisition is a way to strengthen those ties and boost sales. Endurance anticipates adjusted revenue of the combined companies to hit $1.1 billion this fiscal year and grow 10 to 12 percent next year. As Endurance has done with its other purchases, it will keep the Constant Contact brand name, Goodman says.